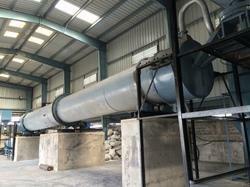 Pioneers in the industry, we offer continuous rotary kiln from India. Rotary kiln is commonly used in the production process of a catalytic agent, molecular sieve, and zinc oxide, etc. As a result, you can find a rotary kiln in the variety of industries, like steel annealing and nonferrous smelting industries, metallurgy and chemistry fields, and building industries, and more. Rotary kiln system, which is also called a rotary calciner kiln, is a commonly used building material machine. Classifying by material properties, a rotary kiln falls into cement kilns, metallurgy chemical kilns, and lime kilns. Looking for Continuous Rotary Furnace ?